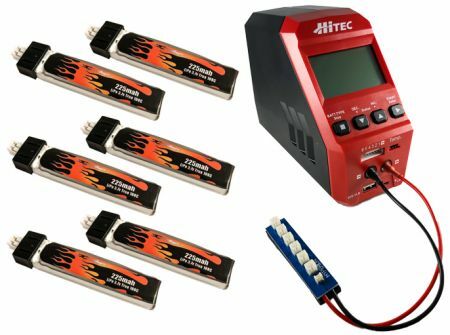 Ultimate RTF Kit for your Tiny Whoop™. Get longer flight times, more power, and more cycles. Save on charging time with included 6-port Parallel Charge Adapter. Keep flying by having the next battery charged and ready to go. Choose our 6-pack RTF Kit and save! Save time and charge up to six packs at once! Includes 4mm gold bullet connectors to charger output as pictured.